It was newspaper editor Gideon J. Tucker who wrote those words in 1866. 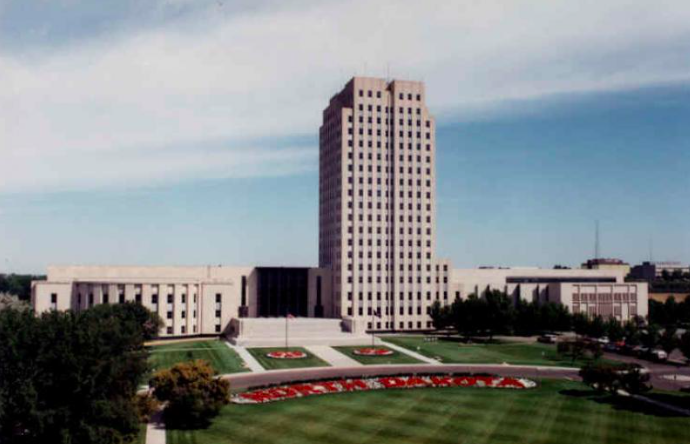 A bit of an exaggeration, perhaps, but we’re all well-advised to keep an eye on what goes on over at the North Dakota Capitol this winter. I’ve got my eye on a couple of pieces of legislation, one bad and one good, and I expect there will be more that catch my attention, but let’s take a look at these two early bills. It’s basically the same as if someone carried a petition to put this on the ballot. So I’m not worried about it passing the Legislature. This is the Legislature’s way of carrying a petition — it just needs a lot fewer signatures. It’s OK to raise a great hue and cry about it though — that calls attention to it, and starts the campaign against it. And we might be able to figure out how to use votes for it to help defeat some bad legislators in 2020. So those of you who are passionate about this kind of thing, keep up the drumbeat. It’s bad law, and we need to keep pointing that out. But don’t worry if it passes. It’s just the Legislature’s way of doing an initiated measure. I wonder, though … If the voters “approve this constitutional amendment in a statewide election” in 2020, then does it have to come back to the 2021 and 2023 Legislative Assemblies for approval? Oh, and speaking of marijuana, let’s hear it for State Rep. Shannon Roers Jones, R-District 46, and State Sen. Erin Oban, D-District 35, the prime House and Senate sponsors of House Bill 1155. That’s the measure makes marijuana possession “a noncriminal offense punishable by a fee of $200.” You get caught with pot, you just pay a $200 fine. You want to smoke pot? You go find some (Colorado road trip) and smoke it up, preferably in the privacy of your home, or late at night on a park bench in Custer Park. Just try not to get caught because it will still be against the law. It’s just not a criminal offense. No jail time or felony conviction on your record. This is maybe the smartest legislation this session, making marijuana a personal, household budget item. It’s especially great for retired folks, who can tap their IRA for a little “fun money” and don’t have to worry about peeing in a cup or lying on a job application anymore. See, all good ideas don’t have to come from “badass grandmas.” They can come from pretty, young, blonde ladies, too. Shannon and Erin, you rock! And if it passes, I have a suggestion for next session, Erin and Shannon. You can streamline the process and take the pressure off our policemen and women by just allowing us to pay the $200 in advance, buying a “pot permit.” We could just go in and get a $200 permit, and then if the cops drive by when you’re sitting on that park bench, just wave your permit and say, “It’s OK, Officer, I’ve paid my fee in advance. Go catch some bad guys.” Everybody wins. When I attended the U of Michigan in Ann Arbor 40 years ago, possession of small amounts of marijuana carried the same penalty as a parking ticket. I think that was a good law then and would be a good law now (but not as good as just making it legal).